Introducing the new EX-7 range – the safest and most efficient Hitachi mining machines to date! 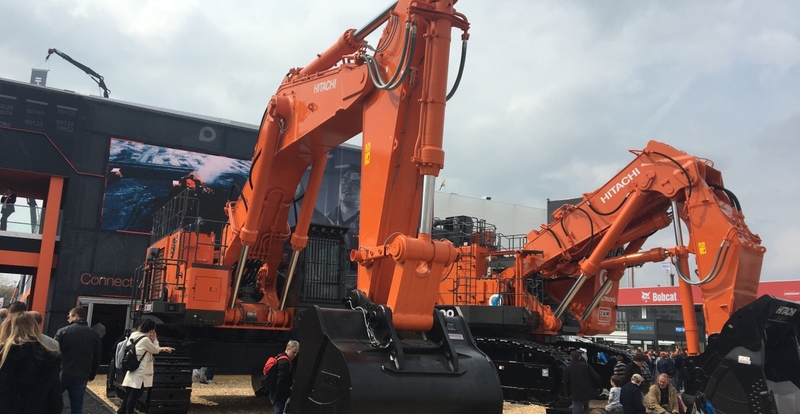 Two new EX-7 excavators, the EX1200-7 and EX2600-7, will be presented by Hitachi Construction Machinery (Europe) NV (HCME) at Bauma. The exhibition coincides with the global launch of the EX-7 range in April 2019. Hitachi has continued to innovate and build upon the success of its previous EX-6 range to develop the new mining machines. As a result, they are Hitachi’s safest and most efficient to date, according to Mr. Sonosuke Ishii, President of Hitachi Construction Machinery Mining Group. Hitachi EX-7 models are supplied with Cummins engines, and customers will have the option to choose between MTU or Cummins engines for the EX2600-7 and above. All models are also available with Tier 4 Final or Fuel Consumption Optimization environmental configurations, and Hitachi mining excavators 190-tonne class and above are also available with electric drive.